New tablet joins Google's Nexus 7 in the fight against Cupertino. This is an important day for Android users and tablet fans in general. 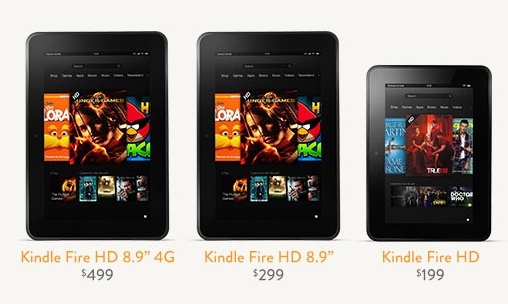 Just a short time ago, Amazon unveiled the next evolution of its Kindle product line, the Kindle Fire HD. The new tablet comes in three SKUs, all of which seem to offer a better bang for the consumer's buck in comparison to the iPad, leaving us to speculate about Apple's next move. That said, Amazon just fired another shot in Cupertino's direction. Right away, it's hard to resist pre-ordering one of these new Kindle Fire HDs, the cheapest of which costs $199, comes with 16GB of storage and has a seven-inch screen. The next model has an 8.9-inch display and costs $299. Finally, and if you intend to splurge, the high-end 8.9-inch model retails for $499, but includes 32GB of storage and 4G LTE support that amounts to 250MB of data at $50 a year. 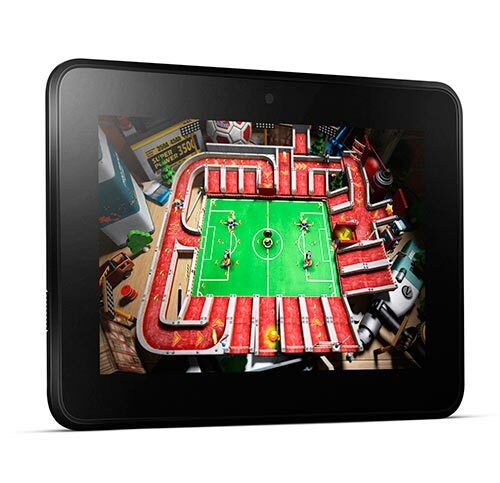 The seven-inch Kindle Fire HD ships September 14, while its counterparts will be available November 20. Consider the fact that the base model 16GB iPad still costs $499, and it would seem Apple has a potential situation on its hands. Rumors point to the company bringing a smaller device, dubbed iPad Mini, to the marketplace, and while the iPhone 5 event takes place September 12, the possibility of Apple hosting another keynote before the end of the year doesn't seem nearly as farfetched as it did several months ago. Bottom line, the Android camp has begun to force Apple's hand. Granted, iPad is still the most recognizable tablet on the planet, but the competition has made significant strides, starting with Google and Asus' affordable Nexus 7, which retailers sell for less than $300. All of a sudden, that 64GB ($699 with Wi-Fi, $829 with 4G LTE) iPad doesn't look so appealing. How Apple chooses to respond remains a mystery. It could just stand back and do nothing, marching to its own beat. Conversely, it could lower the prices of the different iPad SKUs, or do what so many in the tech world anticipate, that being the iPad Mini. For now, we'll have to see whether Google and Amazon significantly cut into Apple's market share. Until that happens, those iPad prices will probably stay put, and the iPad Mini? Under wraps, if it even exists.